ROTH GmbH presents Mobeli – a portable grip bar that utilizes their patented vacuum technology to maintain a solid suction hold. Mobeli stands for mobility beyond limits. It’s specially made for handicapped and elderly people who have a hard time getting up, to help them support their weight in situations where no one is around to assist them to stand. Mobeli’s groundbreaking holding grip uses two suction pads, with a diameter of 120mm each, to cover a wider surface area and create stronger vacuum action. The suction cups on both ends can be activated by pushing the lever attached to them downwards and towards the wall surface. Each end has a safety rocker switch which monitors the stability of the suction cups after pushing down the levers. They can tell you if the device is firmly seated and ready for use or if it needs to be repositioned for a better hold. If the rocker remains flat down and in level with the lever, it means the grip is stable and strong enough to take on its full load. But if the rocker starts to rise or did not completely sink into the lever, it needs to be released and repositioned before use. The rockers are also colored red on their side – a stark contrast against Mobeli’s plain white color – to make it easier to see if Mobeli is starting to lose grip. 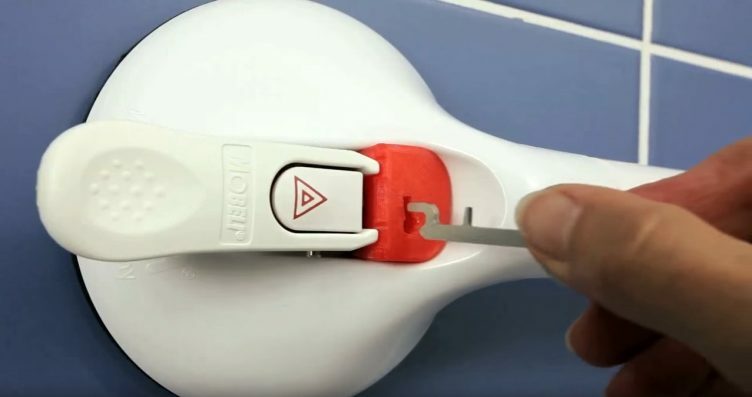 These safety switches are also designed in a way that it can be easily felt by people who have very poor eyesight or even those who are blind and help them to quickly distinguish if the rocker switches are properly secured. The quick locking mechanism provided by the suction cups allow Mobeli to stick to surfaces without the aid of tools and screws. The suction cups are attached to a telescoping bar which can be retracted and extended as needed, making Mobeli compact and ideal for traveling. It is offered in 4 different lengths and each can support at least 140lbs of weight. The product is not designed to handle full body weight but only as a support to get into an upright position. ROTH also has the Mobeli QuattroPower which uses 4 suction cups to increase the weight capacity of the grip bar. It also has sturdy rotating hinges that allows it to take on various stances and angles while maintaining a stable support to its user. It provides portable and reliable grip support anywhere and anytime the elderly and the handicapped needs it. 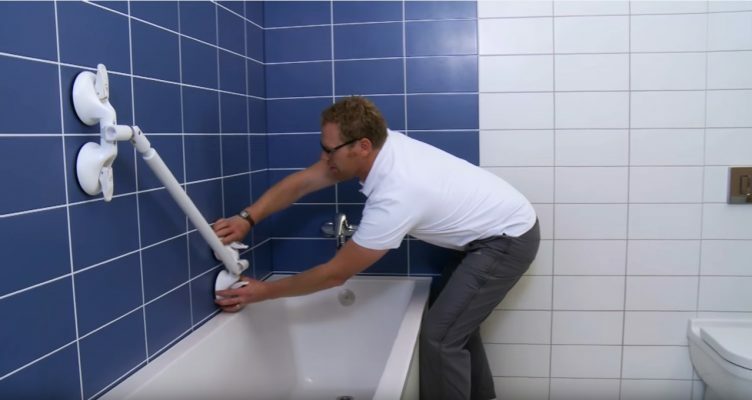 Whether they’re just taking a bath in the tub, trying to stand from being seated in a toilet bowl, or maintaining their standing position while showering, it is there to help. Henrietta Lacks – identity had been obscured for decades while companies profited off her cells.